La Feria de la Tapa is being held during Fallas in the large plaza next to the MuVIM museum (location). For €3.50, you get a drink (water, wine, beer) and a plate of food (montaditos, rice dishes, meats and more). According to what I’ve seen, the amount of food isn’t chintzy, so the price isn’t bad. 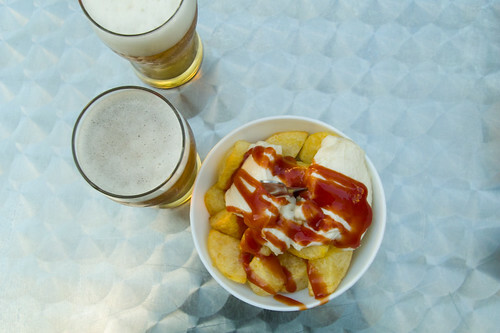 18 Valencian bars and restaurants are taking part in the festival, which runs throughout Fallas, and is open every day between noon and 16:30. From Thursday (the 12th of March) until the end of Fallas, it’s also open from 19h until midnight.